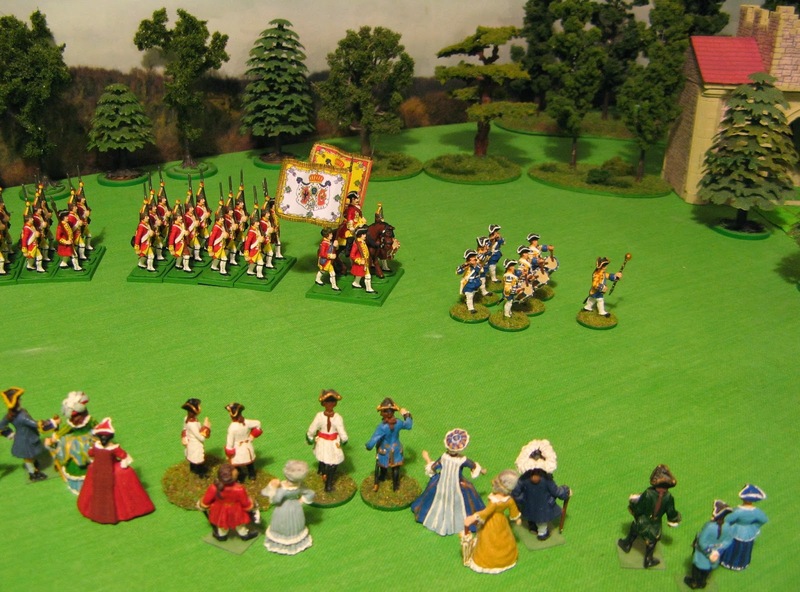 The Leib-Grenadier Garde show off their new uniforms in an impromptu parade for the King and some of the court, in the parkland to the front of the palace. 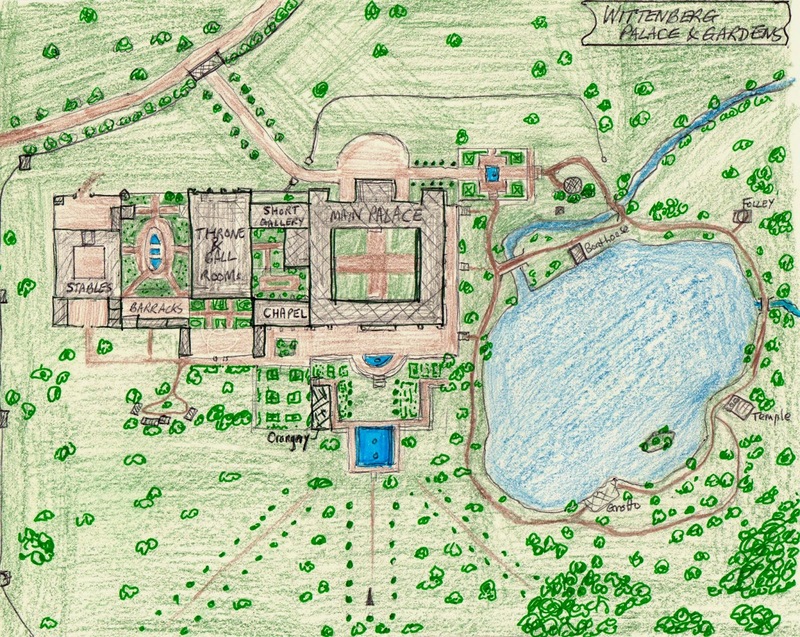 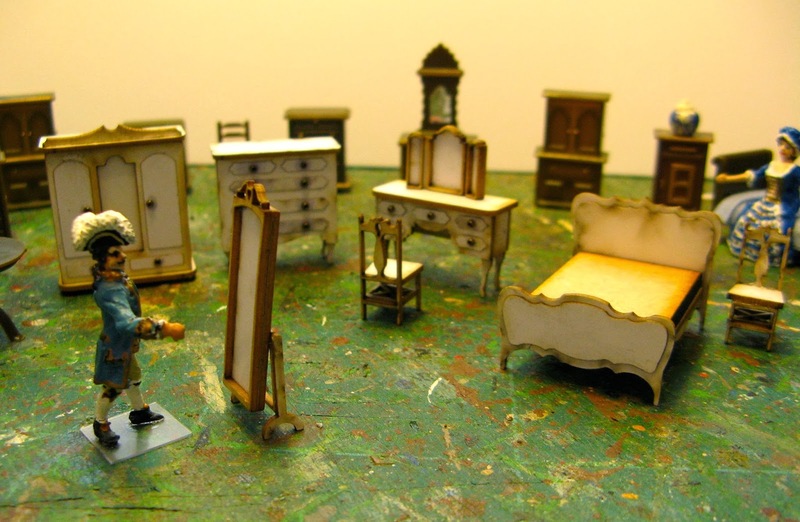 I've made up a couple more items for the palace, a pair of side tables and a four poster bed. 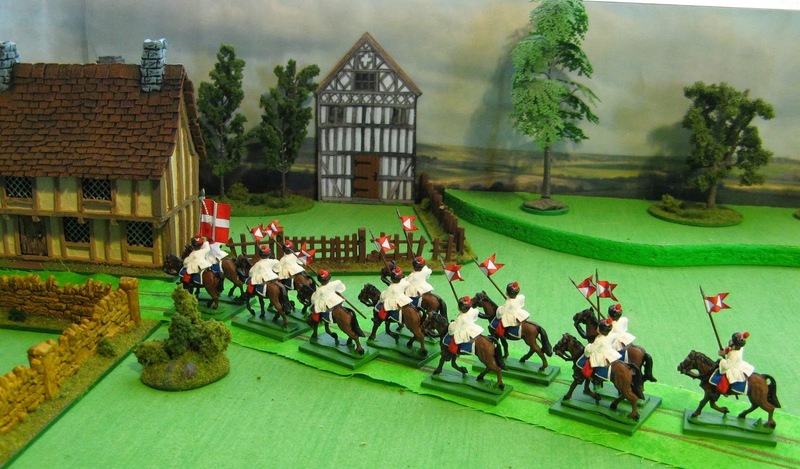 These were made mostly out of plasticard and plus some some round sprue and oddments from my 'offcuts box'. 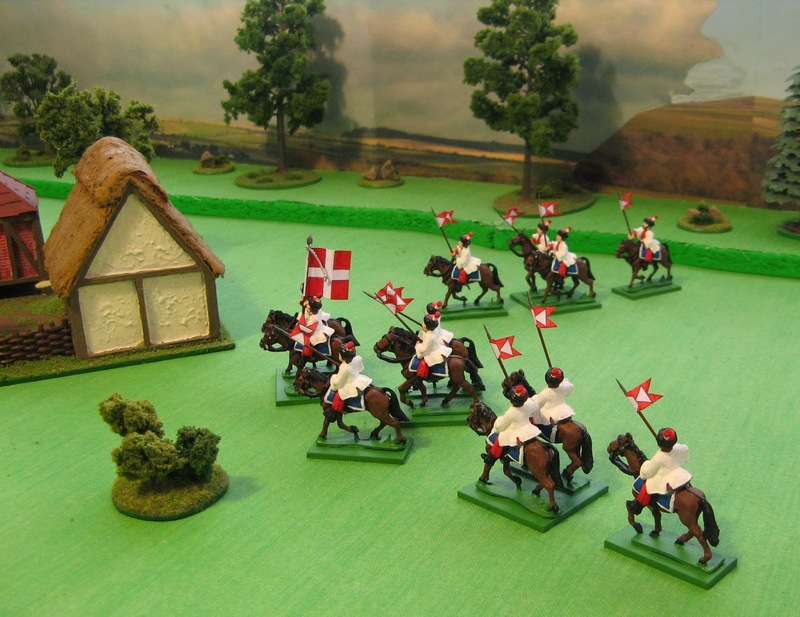 the plastic sets are manufactured by Aztec Minaitures (one place you can buy from is here). 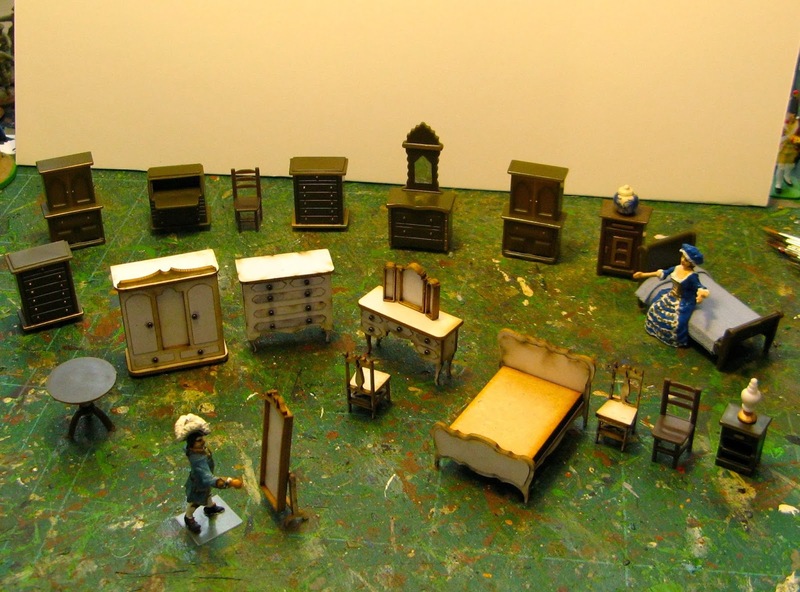 Will be painting up the new furniture and also the plastic sets stuff as well. 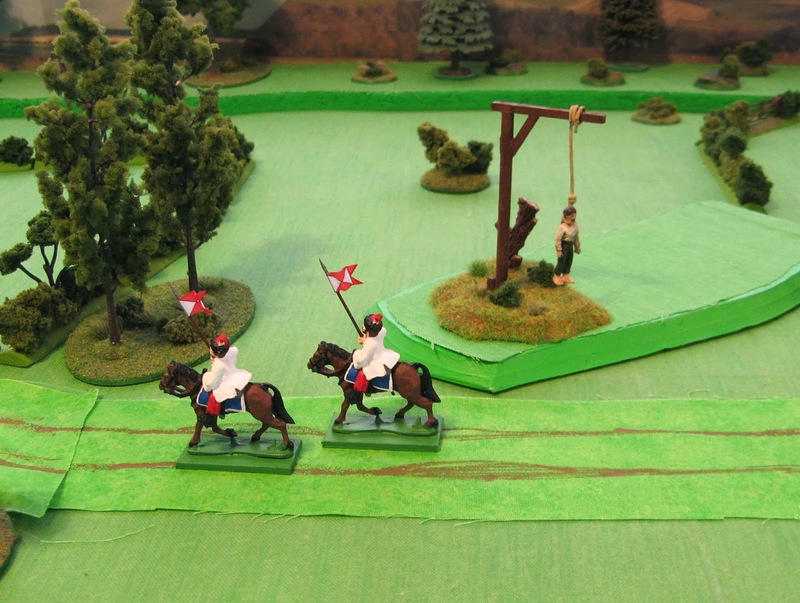 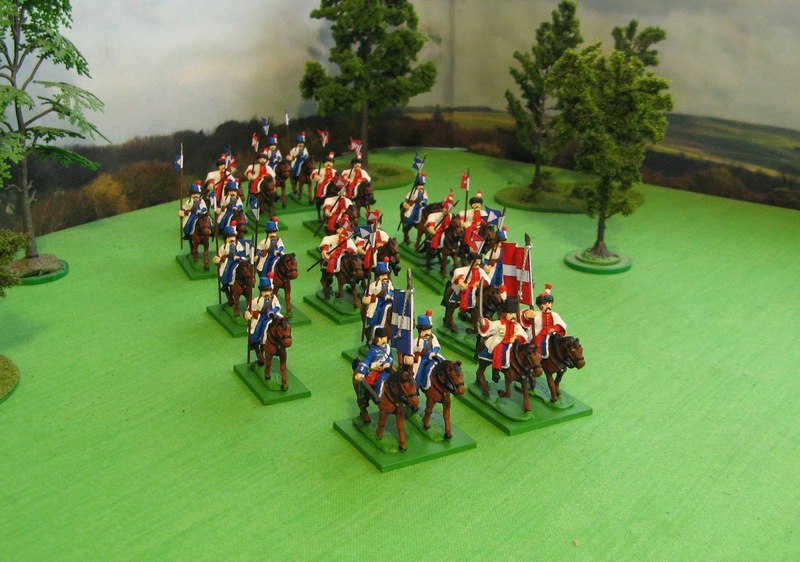 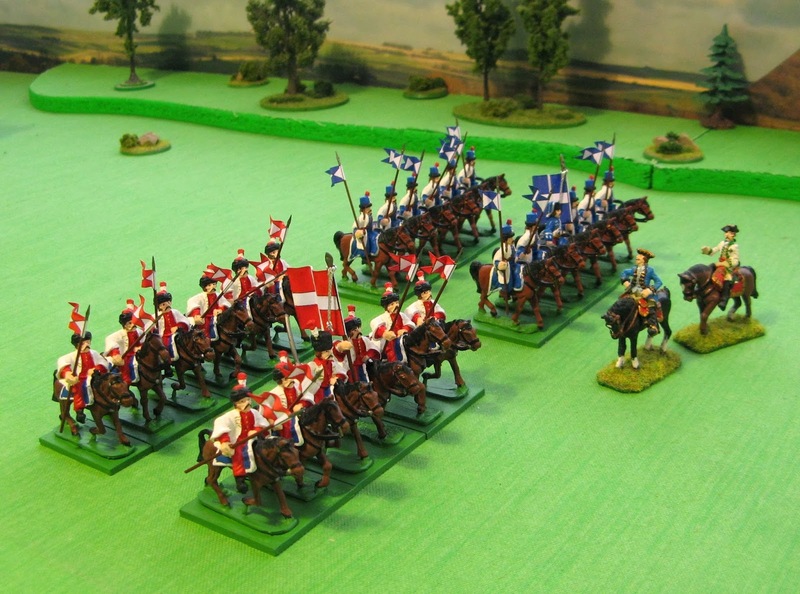 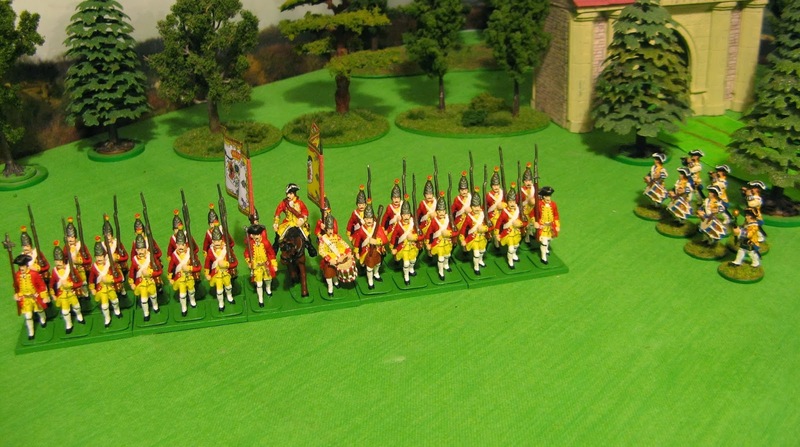 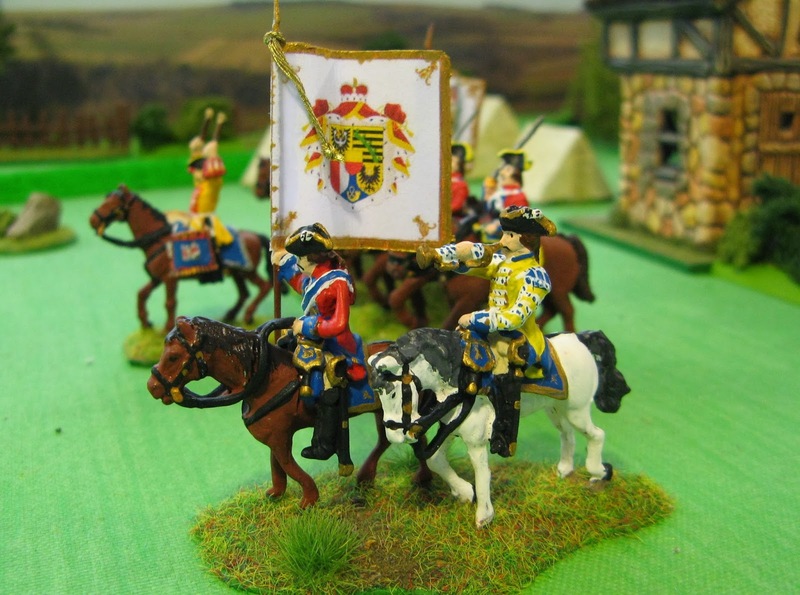 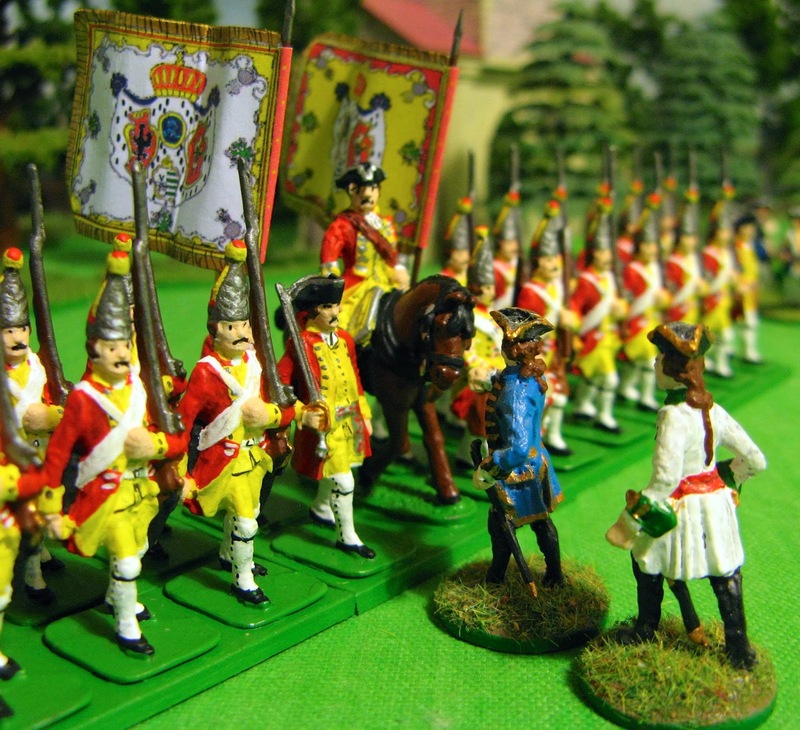 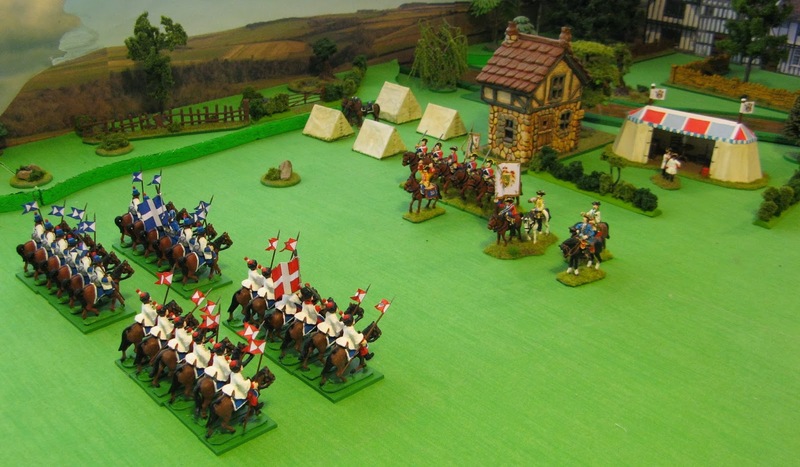 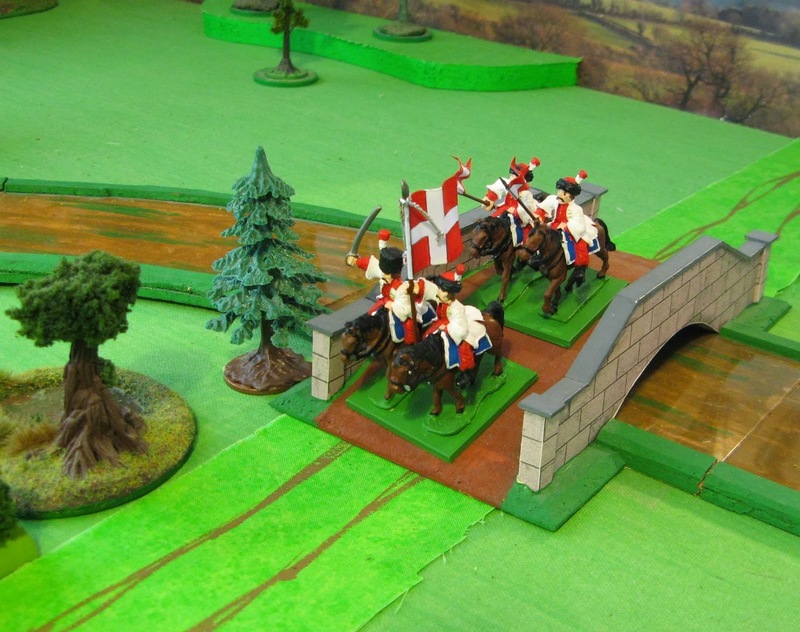 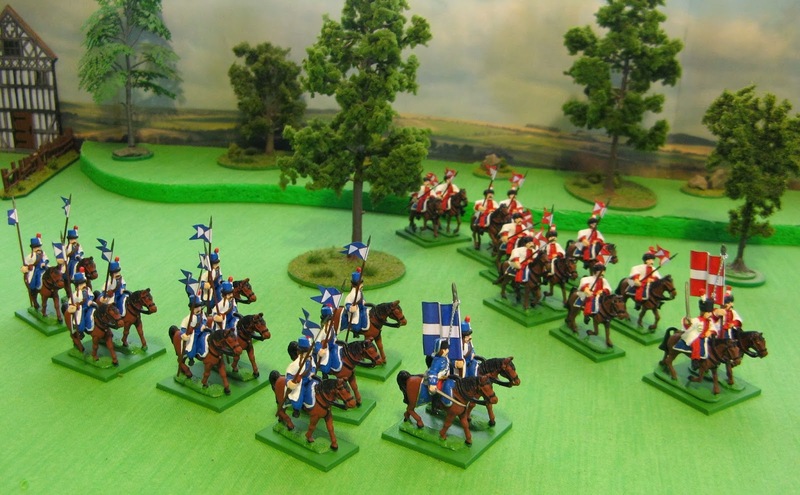 The Uhlans have been ordered to muster at Faustenberg, to the northwest of Heidelheim in the province of Upper Belgravia, where they will be inspected by the King before they take up duties patrolling the border with Monrovia.